This latest CD is part-way between a new album and a compilation, pulling together several recent stragglers alongside a number of remakes. 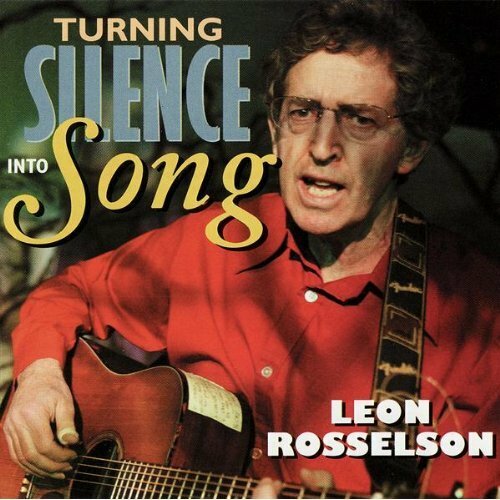 More than half of its contents are taken from Leon’s catalogue of songs stretching back into the 1960s, but of the oldies (by which we mean pre-2000 compositions), only “The Enemy's Poised to Attack” is the original recording; the rest are new versions. 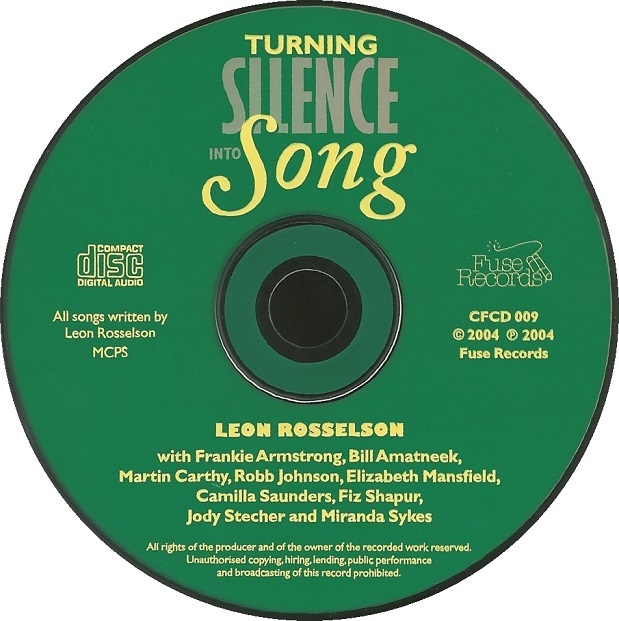 “I Don't Want Your Red Red Roses”, originally known from Leon’s old songbook, That’s Not The Way It’s Got To Be, had since been recorded and released by Frankie Armstrong on her album, I Heard A Woman Singing (1984), and it is that (American-made) version which makes the cut here, on which Leon does not perform. 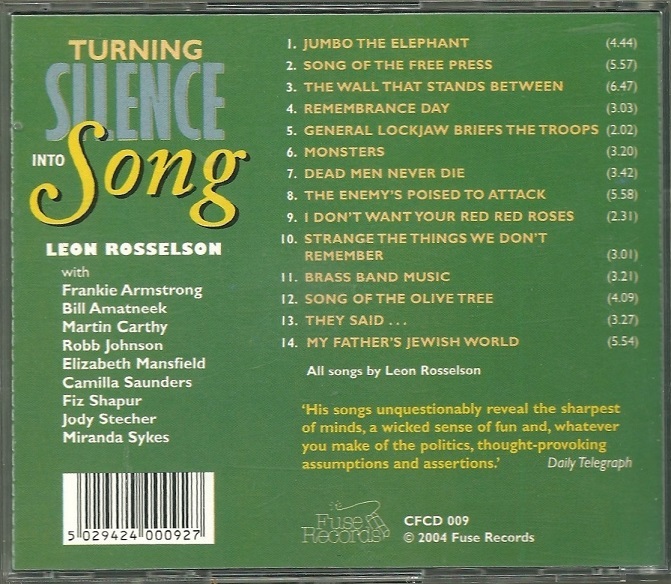 All songs bar “The Enemy's Poised to Attack” and Frankie Armstrong’s recording were made at Running Frog Studios, presumably across a span of some time, since a few had already sneaked out on CDs by the time this new album was presented. 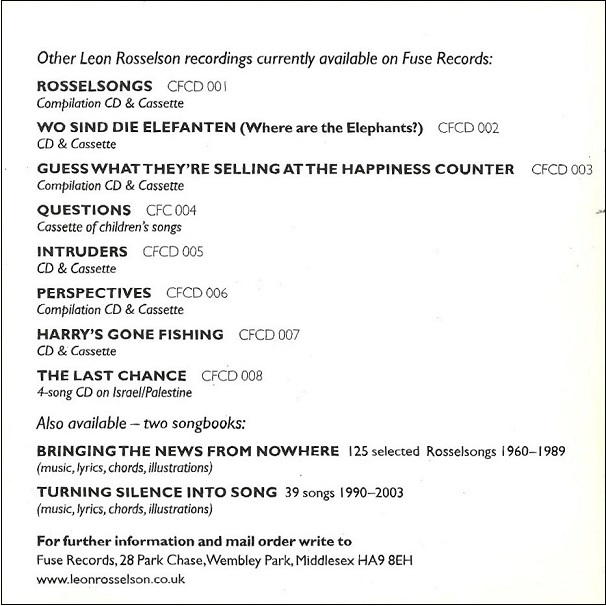 The album title is a quote from the song "Harry's Gone Fishing", which is not included. 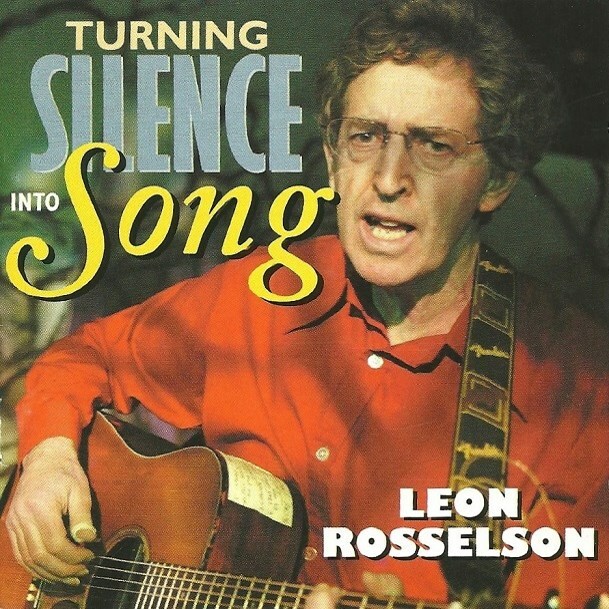 Although it shares a name with Leon's recent songbook, really the two are unrelated.